[    0.152741] jffs2: version 2.2. (NAND) �© 2001-2006 Red Hat, Inc.
[    0.847372] 0x000000000000-0x000000100000 : "u-boot"
[    0.854799] 0x000000100000-0x000000110000 : "dtb"
[    0.861985] 0x000000110000-0x000000510000 : "kernel"
[    0.869390] 0x000000510000-0x000001000000 : "rootfs"
[    0.974412] [drm] Supports vblank timestamp caching Rev 2 (21.10.2013). [    0.981082] [drm] No driver support for vblank timestamp query. 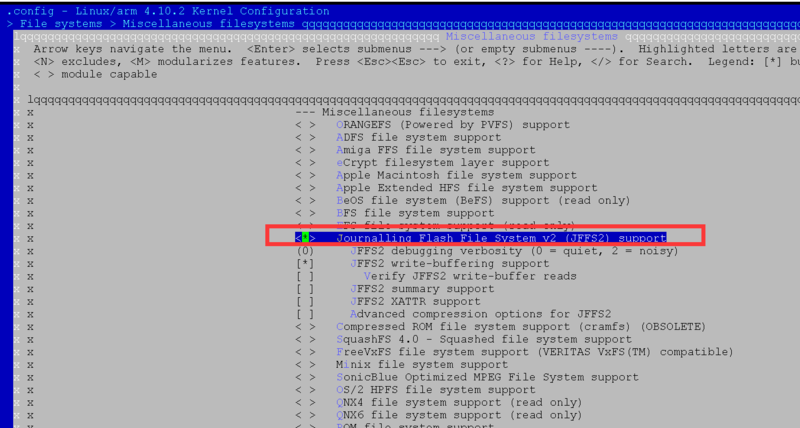 [    3.486017] VFS: Mounted root (jffs2 filesystem) on device 31:3. [   11.022364] esp8089: module is from the staging directory, the quality is unknown, you have been warned.